Movie Studio Zen is the best place for learning how to use Vegas Movie Studio Platinum, DVD Architect and the basics for Vegas Pro. It is also the place to find real working solutions to common problems that new users like yourself will encounter as you move quickly up the Vegas Movie Studio learning curve. It is easy to feel a little overwhelmed when you first start to use Vegas Movie Studio and Vegas Pro software. This is why I have created Movie Studio Zen - to help you easily and quickly master the basics and become confident with using the Tools & Effects that are available to you in these fantastic programs. There are now over 140 free "easy to follow" tutorials and videos which will teach you the basics of how to edit and create projects like full 1080p HD quality videos for places like YouTube, Vimeo or Facebook. You can also learn how to create your own professional looking DVD's & BluRay Discs with fully functioning menus. I also have videos that can teach you how to Build your own Computer that is fully optimised for Vegas HD Video Editing and I can show you how to get your existing computer purring like a kitten. Did you know that Vegas Movie Studio Platinum is the little Brother of Vegas Pro ? What that means is that 90% of my tutorials will also work in Vegas Pro and DVD Architect Pro with absolutely no problems at all. So I invite you to stay and have a good look at what I can teach you right now. How to Search Quickly for information on Movie Studio Zen ? 2. Google Custom Search is located in the Top Menu bar. It searches only for content on Movie Studio Zen. *Please note that Google Custom Search does display Advertisements at the top of the search results page which are not related to Movie Studio Zen. All TRUE search results are at the bottom half of the page and ALL point back to this website. 3. Scan through the Site Map which lists everything on the site. I just started using one of Sony's programs and feel a bit overwhelmed, where should I start ? All the tutorials on Movie Studio Zen are now tagged by topic. So if you press one of the tags located at the top of each article, it will lead you to a list of related tutorials. The best tag to start with for a beginner is Basics for Beginners. Press the link to access complete list and start learning now. 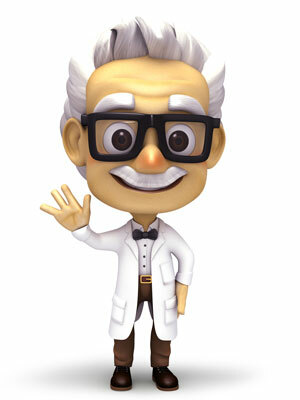 Another main section for information is located in Doctor Zen's FAQ's. This is the area where I will be posting answers to common problems and Frequently Asked Questions. Where and how can I ask a question on this website ? If you would like to ask me a question about anything related to the tutorials and articles on Movie Studio Zen, please use the Movie Studio Zen Forum or post quick questions in the comments section under articles. You will need to sign up for a free account to post questions on the forum and leave comments under articles. Do your tutorials work in any version of Movie Studio Platinum and Sony Vegas Pro ? 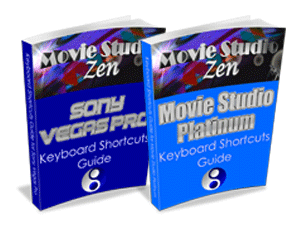 Over 90% of the tutorials on Movie Studio Zen will work in any version of Vegas Movie Studio Platinum or Vegas Pro. If you are a Vegas Pro user, most of my Vegas Movie Studio tutorials will also work for you. If you have just purchased Vegas Movie Studio Platinum 14 or Vegas Pro 15, then you can still use many of my older tutorials made with versions 9, 10, 11, 12, 13 & 14. Can I subscribe to a Newsletter for new tutorial notifications ? Yes you can sign up for the Movie Studio Zen Newsletter and I will send out email notifications to you via Mail Chimp, every time I publish a new tutorial or have an important announcement to make. Please note that if you have already created a free account, you have also been automatically subscribed to the Newsletter, so you do not have to subscribe a second time.